It's seems anymore that once a day there is some band doing laced sugar cube psych pop vying for attention. A lot of them have a habit of drenching everything is some sort of (digital?) reverb. This works in a lot of respects making things sound like breaking glass in an oil drum of twinkling stars. The problems is for some bands though is that trick seems to be what their depending on most to be their calling card. It's like if a photographer decided to shoot everything in a bokeh blur. It may look all all pretty or swirly but with no subject in the setting standing out it leaves little to focus on or to leave an impression with. With a handful of releases over the last half decade or so Jules Nehring, chief of Ypsilanti, Michigan's Bad Indians, has lead his charges to a way of making their sound images be decipherable through the misty aural smears. Taking inspiration from sources both obvious and orphic, the band reassembles the bits and pieces making something familiar yet still cryptic. Some tracks, like "Are The Bees Gonna Buzz" and "11 Leaves", take a Black Lips Back From The Grave cocaine comedown to spend time outside on a rare winter day where the sun actually comes out. Others make one wonder if the band has had conversations of different modes of outer earth travel. "Don't Hang That On Me" rides a wild surf through the Milky Way, bottle rockets boosted by weed smoke propulsion sends "Airplants" and "Walk With Me" on a mission to push their way through nebula while the eleven minute closer on the record, "Marble Orchard", wiggles away at gravity's pull til it breaks loose. With sagging lids to match their bloodshot eyes (but still being able to see clearly and focus at the task at hand) "Keep Losin'" finds the Bad Indians even one upping themselves above their 2012 poisoned candy apple fave around these parts album "...Are On The Other Side." 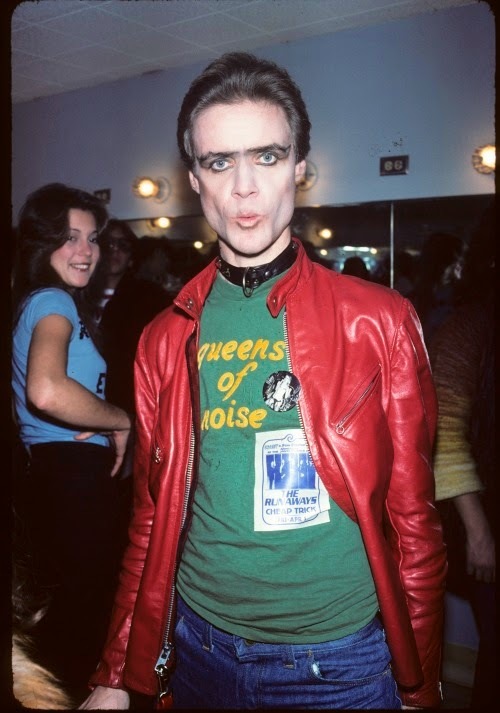 Just read the news that THE PROVOCATEUR Kim Fowley has passed away. Jordan and Casey of Wisconsin band the Mystery Girls and myself had some very...umm..interesting exchanges with him when I was prepping to put out their single on my label Bancroft back in 2000. The conversations were posted on my original Smashin' Transistors website back then. That site is long gone and though I have the article buried in an old hard drive somewhere in this house it could have taken me who knows how long to find it and repost it. Thankfully Daniel James of Indonesian Junk and Ramma Lamma went to do some internet digging and found the interview over on the Internet Archive Wayback Machine. You can read it in it's original badly laid out page here.